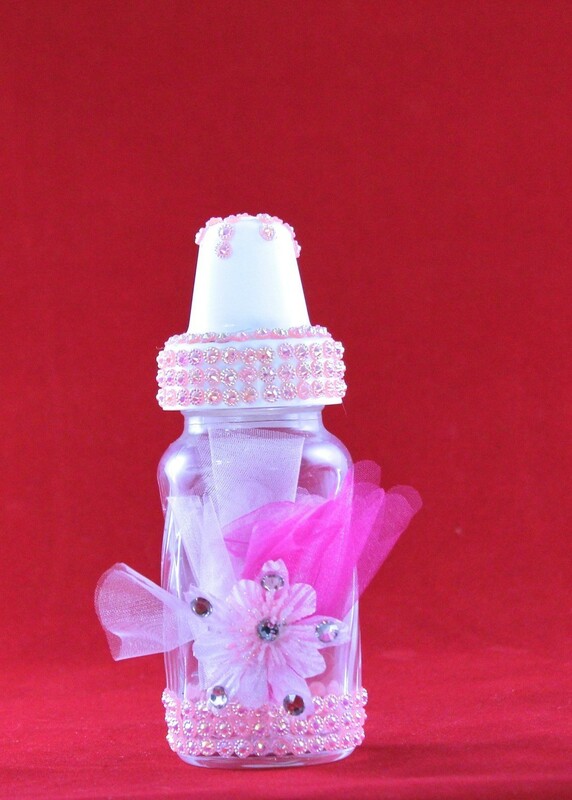 This gorgeously decorated bottle boasts faux pink gems, clear glass gems, and a small arrangement of hot pink, light pink and a cute pink flower organza, flowers and gems. This is a true beauty and your baby shower is calling its name. (NOTE THAT ALL FEATHERS, GEMS, PEARLS ARE FAUX).